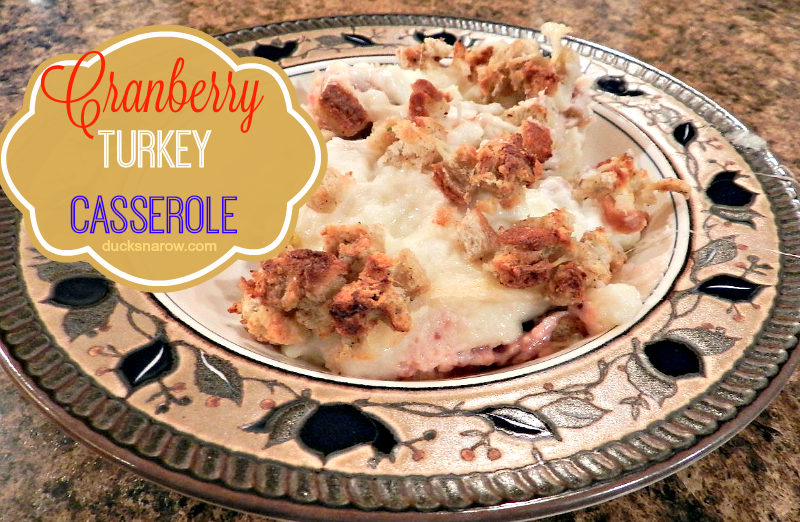 Marvelous Cranberry Turkey Casserole – So This Is Leftovers? This is leftovers? You have got to be kidding! This casserole by Hellman’s is so delicious that we are not waiting for Thanksgiving to make it again. You will love it, too! I love Thanksgiving leftovers. The turkey, the stuffing, the gravy …you get the picture. But after 4 or 5 days we start looking for something new. My hubby has been wanting me to make this casserole ever since he saw the commercial on TV a year or two ago. Cannot imagine why I didn’t hop on it right away. 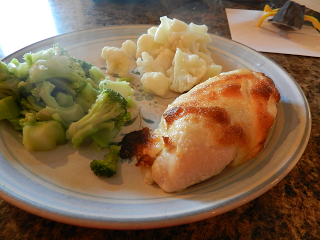 I had salivated over their commercial for Parmesan Crusted Chicken, tried it and loved it. Nevertheless, I was slow moving on his request. Well, this was the year and I sure am glad I finally did. This casserole has nothing “leftovery” about it. It tastes so great it would be worth the effort to gather the components without a prior turkey event! If these ingredients sound good to you, trust me, you will love it! Spread 2 cups stuffing in the pan. Add all of the turkey pieces. 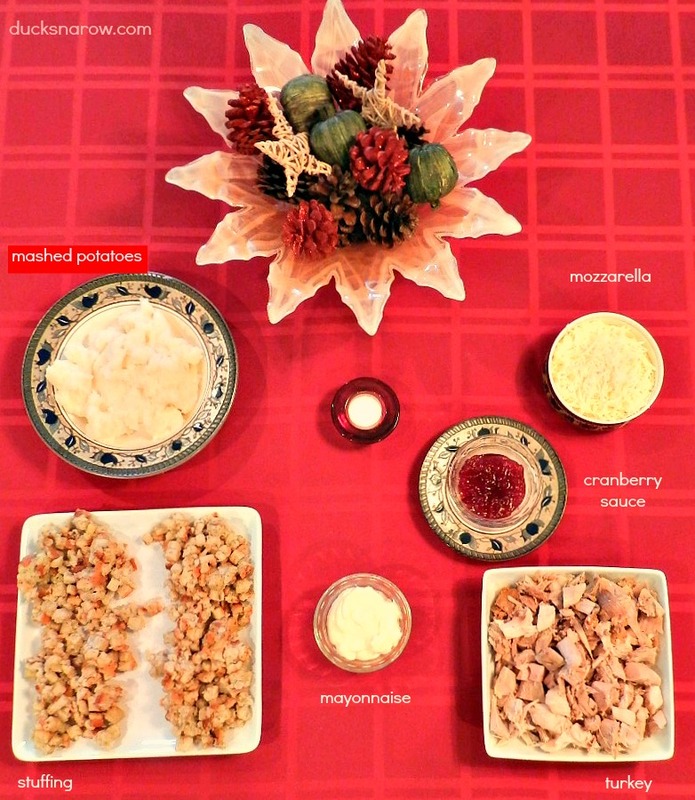 Mix 1/4 cup cranberry sauce with 1/4 cup mayonnaise and spread over the turkey layer. Combine mashed potatoes, remaining mayonnaise and mozzarella cheese. Spread the potato mixture on top of the cranberry layer. Top with the remaining stuffing. In my opinion, you are unlikely to have ANY leftovers. 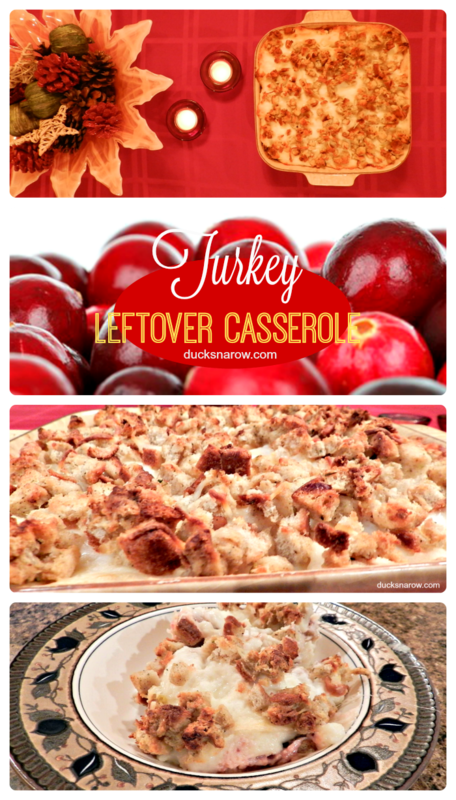 Tips: save some of your leftover turkey, if you have it, for making a casserole a week or two later. Just freeze the turkey and then buy a bag of stuffing to whip up on the stove alongside some mashed potatoes. That’s what I did. We had the casserole on Leftover Day 4 and then we are having it again tonight, several days later. This post was not sponsored by any brand. Opinions and appreciation is purely my own.